I first started writing for pleasure when I was at school in London during the Second World War. As part of a week designed to boost War Savings – this one was called Wings for Victory Week - we were encouraged to enter an essay competition. As the essay had to have an air force theme, I wrote about a Royal Air Force squadron scrambling during the Battle of Britain. It was something I knew a bit about; I’d watched the battle from my back garden. Those of us who were commended for our effort, and there were many of us, were taken to the local town hall to listen to a lecture by Wing Commander Guy Gibson, holder of the Victoria Cross, the Distinguished Service Order & Bar, and the Distinguished Flying Cross & Bar. Gibson had just returned from the famous raid that had resulted in the breaching of the Möhne and Eder Dams in Germany, and he held us spellbound with his account of the raid. To us schoolboys, Gibson was a giant of a man, a famous hero. But he was slightly built and only 26 years of age! When I left the police, I found an agent and gave him a book I’d written about a man who had lived through both world wars. But my agent suggested that, as a former policeman, I should write a crime novel. It took me three weeks to write my first book, The Cold Light of Dawn. Two weeks later the agent told me that it had been accepted by Macmillan. For the next month I revelled in having become a published author, but then my agent asked me how my next book was getting on. I hadn’t started, but soon did. My second novel, Confirm or Deny, was written in four weeks, and accepted by Macmillan before the first one had appeared in print. I’ve now had 37 novels published, all of them crime stories except for my one political thriller, Division. However, the farther removedI became from my police service, the more difficult it was to ensure accuracy. Police organisation and methods are changing all the time, and parliament is bringing out new laws on an almost daily basis. Consequently, I often found that what I’d written was technically out of date by the time it was published. Nine years ago, I came up with an idea to overcome this problem: I created the historical character of Divisional Detective Inspector Ernest Hardcastle of the A or Whitehall Division of the London Metropolitan Police. The great advantage in writing such a crime novel is that neither the procedure nor the law changes by the timeit’s published. Hardcastle’s first outing was in Hardcastle’s Spy, set in 1916. The reaction of my readers was very encouraging. They liked Hardcastle and they liked novels set in the Great War, and they wanted more of the same. This presented me with something of a dilemma. Bernard Cornwell, the brilliant creator of Sharp, hero of the Napoleonic Wars, had some 23 years to cover the action of his novels; I had only 51 months. Had I known, I would have set my first book in 1914. But by the time I discovered what the readers liked, I had already written the second book in the series: Hardcastle’s Armistice set, obviously, in 1918. This meant that if I were to remain within the time frame of the 1914-18 War, I would have to break the chronological sequence. 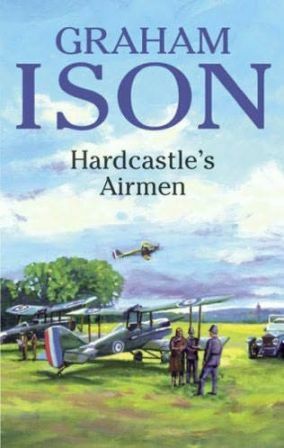 So, the action of the next book, Hardcastle’s Airmen, took place in February 1915, and was followed by Hardcastle’s Actress, which opens on Christmas Day 1914. The eleventh in the series, Hardcastle’s Traitors, begins on New Year’s Eve 1915, and was published last month. Fortunately, I had the foresight to give Hardcastle a son, Walter, who was born in 1900. If I run out of time, I can start on Young Hardcastle, who in 1939 would have been just the right age for him to be a divisional detective inspector doing the same job as his father had done, but in the Second World War. There are linguistic problems in writing historical fiction, given that English is an evolving language. Some of the jargon and the slang that is commonplace today was not necessarily so in 1914. I have about twenty dictionaries of varying kinds, the most important of which, in this context, are my two dictionaries of slang. These publications are of immense value in determining whether a particular word or phrase was current during the period about which I am writing. For example, who would know these days the meaning of a ‘fourpenny cannon’? But in Hardcastle’s day, it was a steak and kidney pie. And a ‘Piccadilly window’ was a term describing a monocle. I also have a copy of The Handbook of English Costume in the Twentieth Century, an invaluable guide to what was worn – and not worn – during the Great War. Bearing in mind that I am writing for an American readership as well as an English one, I’ve had to include in each of the Hardcastle stories a glossary of less familiar terms, as well as military terminology. This was originally placed at the end of the book until an Australian reader, emailing me from Alice Springs, complained that he’d only discovered the glossary after he’d finished reading the book. Later publications now place it immediately after the title page. When I started my police career, I was posted to Cannon Row police station where Hardcastle has his office. I was fortunate, as far as the Metropolitan Police was concerned, that little had changed since the Great War, and I was able easily to recall the layout of that police station. In addition, much of the law that, as a patrolling constable, I helped to enforce, hadn’t changed for years, and was extant in Hardcastle’s time. I also remember walking a night-time beat in London’s Whitehall. At two o’clock in the morning there was hardly any traffic. In fact, there was just an eerie silence broken only by the popping of the street gas lamps. Apart from the Cenotaph, that made its appearance first as a wooden structure in 1919, little had changed since the days of the Great War. And when I met another policeman, wearing a similar cape to the one I was wearing, it was easy to imagine that I had travelled back in time. A great deal of the action of the Hardcastle novels involves the armed forces, and as a former soldier, I’m familiar with their organisation and regulations. What’s more, I’ve always had a consuming interest in the Great War, and have visited the battlefields and cemeteries of Flanders many times. As a result, I was able to place some of the action in that area. In Hardcastle’s Spy, I had my hero travel to the little town of Poperinge in Belgium, seven miles from Ypres, and home to the original Toc H.
In order to provide the reader with period detail, I’ve made a point of including significant events that took place during the Great War. The mining of the Messines Ridge in Belgium, the loss of Field Marshal Earl Kitchener at sea in HMS Hampshire, the disastrous Battle of the Somme, and the Zeppelin and Gotha air raids on London have all been used as a backcloth to Hardcastle’s adventures. 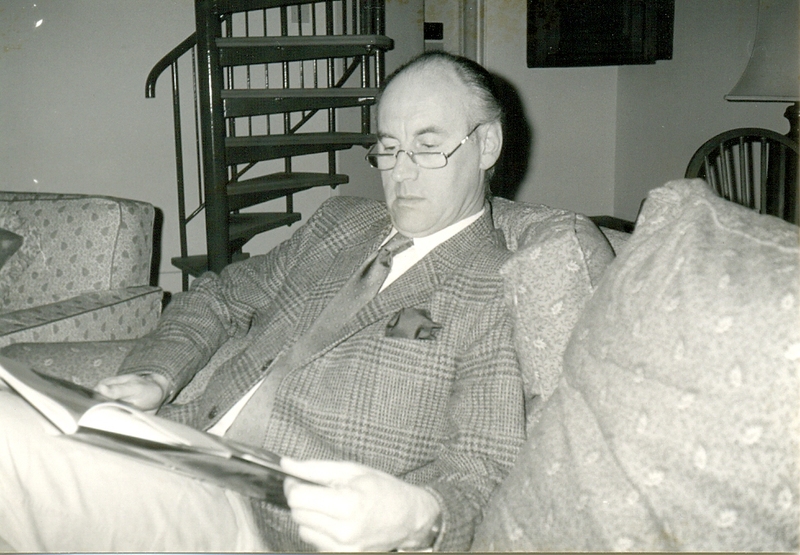 Probably the greatest compliment I’ve received about Hardcastle came from an American reviewer who described him as being ‘as curmudgeonly as Inspector Morse, as intelligent as Sherlock Holmes, and as wily as Hercule Poirot’. 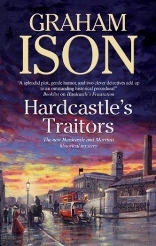 Hardcastle’s Traitors by Graham Ison Hbk is available now in the UK from Severn House Publishers, and will be available in the USA as of 1st November 2013.